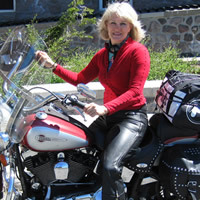 Learning to ride a motorcycle at the age of 57 opened up a whole new world for successful business consultant Linda Crill. She has written a book, "Blind Curves," about her experience. 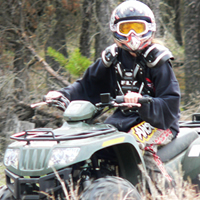 A little common sense goes a long way when it comes to riding ATVs, bikes and snowmobiles. 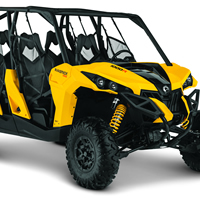 Last month, Can-Am lifted the covers off its new lineup for 2014 and the most exciting news is the expansion of the company’s side-by-side lineup. A four-seater has been added to the family. 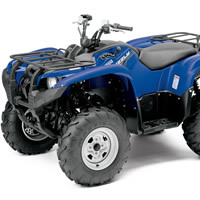 With all the attention on Yamaha’s new three-seater Viking side-by-side, it’s easy to overlook the company’s Grizzly 700 FI ATV. For 2014, this much-loved machine received some significant upgrades. 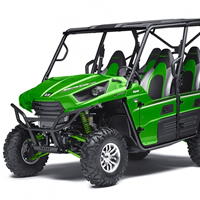 Kawasaki caters to the family and those who like to bring friends along for the ride with the Teryx4 side-by-side. For 2014, this already popular vehicle is equipped with a more powerful engine and improved suspension components. A limited edition model is also available for 2014. 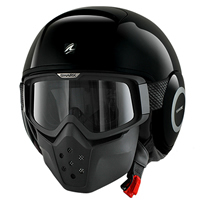 Designed with the casual and urban street rider in mind, the new Shark Raw is an open face motorcycle helmet that features a detachable face mask. The 10th anniversary of the Red Bull Romaniacs in Sibiu, Romania, saw for the first time not one but two riders from Canada standing on the podium. 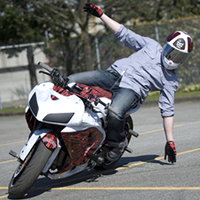 In the Hobby Single class, Kitt Stringer rode to a third-place finish, while his friend and fellow competitor Esteban Torres Bonet claimed the top spot. Both riders are from Victoria, B.C., and this was their first attempt at the Red Bull Romaniacs. Each day I get a chuckle. From Facebook messages to personal encounters, it’s the same thing. Men everywhere are looking for the holy grail of a woman. A woman who can shred, bike, fish and, well, basically be a tough, awesome nature girl. Fellas, I’m thinking you’re doing it wrong. 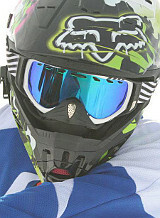 Many a frustrated buyer and seller have been born in the game of selling and purchasing motorsport toys. Many of these frustrations can be eliminated simply by understanding how the process works—especially if you intend on doing a trade-in.